I would like to take this opportunity to thank you for providing two outstanding catered dinners at our villa this past winter between Chef Sol and Chef Maru. Our 5 couples all agreed that the quality of the food was wonderful, the service was great, and the cost was very reasonable. I highly recommend Basilco catering. Hope to get back to Costa Rica soon and will definitely look forward to using your services again. We had the pleasure of receiving the services of Basilico Catering during a recent trip to Costa Rica. It’s hard to know where to begin to describe our experience. First the communication with Sol, the owner and chef of Basilico Catering, was so easy. We discussed menu’s ahead of time and she was very helpful and accommodating. We planned four evening meals before we arrived. She went shopping and even stocked necessities before we arrived. Chef Sol and her team were so much fun. The kids in our group would hang out in the kitchen with them for hours, watching them prep, and then cook. They even had the kids help. We had a taco bar, homemade pasta with shrimp, and beef tenderloin. The food for each meal was beyond amazing. By far the best meals we had on our trip. Sol went out of their way to make us feel comfortable and of course very full every evening. We loved them so much that we had them prepare pizza one evening, above the nights we had already pre-scheduled. Sol, is a warm amazing woman, and her staff is wonderful. We left feeling like we had made friends that would last a lifetime. I cannot recommend their services enough. Feel free to e-mail if you have any questions. Trust me, you will not be sorry you chose Basilico Catering. I was referred to Sol our shopping and cooking needs when we were vacationing in Costa Rica. From the moment that I spoke to her I was completely put at ease. She has a very warm and easy going personality. Sol met us at our house a few hours upon arrival with something for us to eat from our long travel day. She also went to the market for me, made our menus and prepared our meals. Sol made my trip very relaxing for me. After only a few days I felt comfortable enough to leave my 5&3 year old daughters with her for a half day while the rest if us went ATVing, she kept my girls occupied and happy, they both asked if she could babysit them again. Our family of 13 just spent 9 days in Costa Rica in a trip of a lifetime! Basilico Catering was such a huge part of the magic of Costa Rica. I communicated with Chef Sol in choosing meals before we arrived. She gave me so many wonderful choices that it was hard to choose. All my family would gather in the kitchen to watch them cook, learn how to make sauces and learn of Costa Rica's traditions. Chef Sol worked her magic with an amazing key lime pie that was my son's birthday suprise! 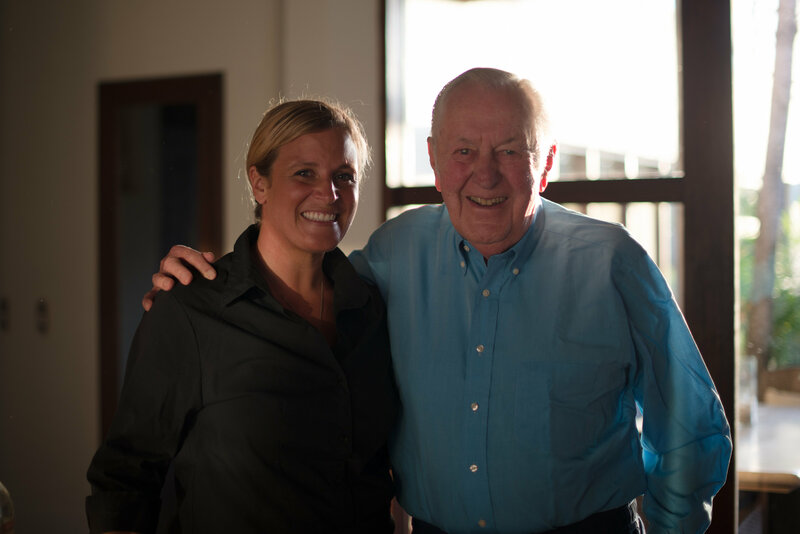 They were so dedicated to making sure our meals were extraordinary and memorable! These included a taco bar, beef tenderloin with chiminchurri sauce, fresh fish, homemade cheese and spinach ravioli, pasta with giant shrimp, sushi, Ahi tuna , and delicious burgers. As the owner of Basilico Catering, Sol made our trip so delightful .... We so appreciated her cooking and warm sweet personality.... A friendship was formed that is cherished!! Thank you Sol! I would highly recommend them for your catering needs if you are so fortunate to go to Tamarindo Costa Rica. We were referred to Chef Sol by the owner of the home we were renting in Playa Langosta. Once we contacted Sol, she immediately responded to our email. She was excited to create a menu for our family of 7 that would meet all our dietary needs. Communication with Sol was very easy from the states. She texted us and even set up a Face Time call so we could see one another prior to arriving in Costa Rica. Weeks leading up to our vacation Sol communicated with us on a weekly bases about our menu. We originally booked Chef Sol for 2 lunches and 4 dinners. Upon arrival to our rental, (after a 4 hour drive and a car full of starving teens and adults) Chef Sol and her amazing team were there already cooking in the kitchen. The food smelled delicious. She had our refrigerator fully stocked with liquor, beer, juice, water and snacks. This wasn’t something we discussed but we were beyond grateful. She had a feeling we would not have time to stop at the grocery store for food and took it upon herself to make sure we had the basics. The energy, professionalism, talent and of course the food of Chef Sol and Basilico Catering surpassed any and all expectations we had. We are a family that travels a lot and consider ourselves “foodies” in the US. The meals presented and the taste of the food was just as good if not better than some of the meals we have eaten at fine US restaurants. Chef Sol and her team take pride in the preparation, presentation, and quality of the food they prepare. Not only do they serve us our meals, drinks, and desserts (which by the way was NEVER discussed as part of our package but was a daily surprise) but they left our kitchen cleaner than when they started cooking. 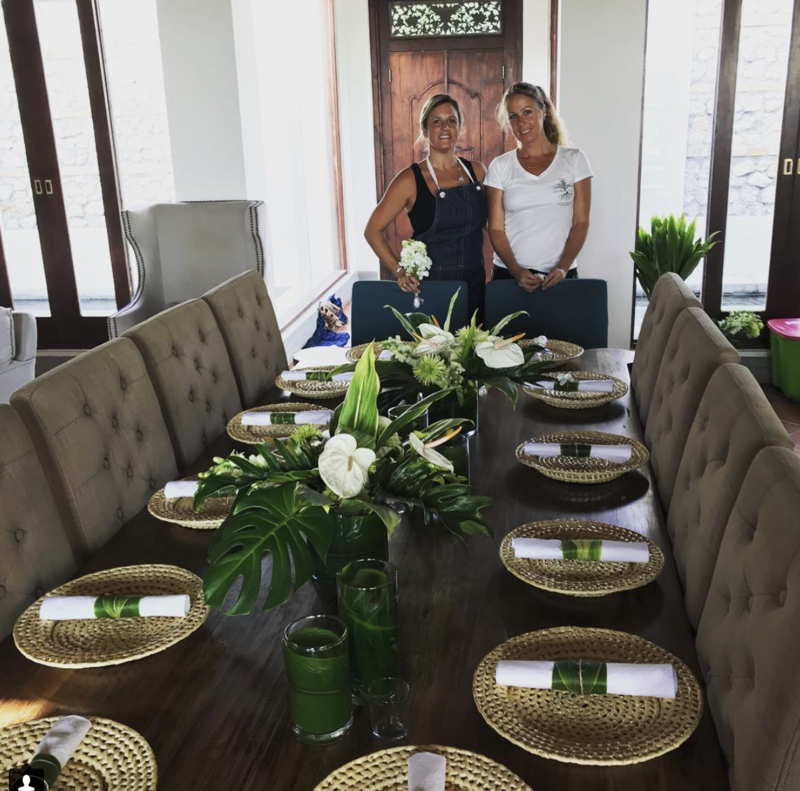 We were so impressed with Chef Sol and her team that we cancelled one of our dinners and requested she cook dinner an additional evening for our families. In addition we requested a breakfast, that she was more than happy to provide us on a morning that she had a wedding more than an hour drive from Tamarindo to coordinate. Overall, Chef Sol and her team made our trip 100 times more special and memorable. 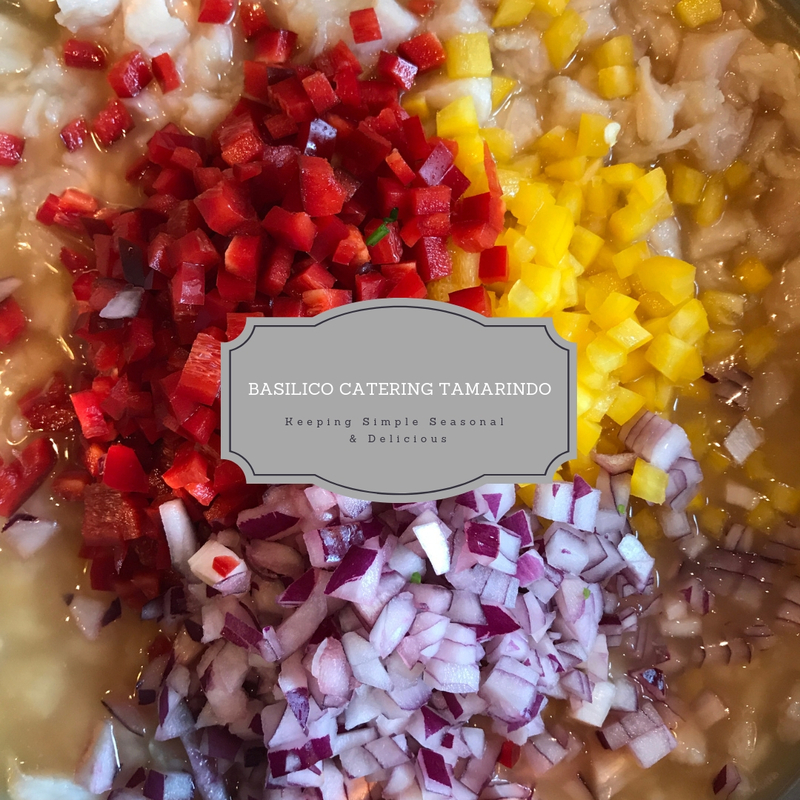 We can not wait to return to Costa Rica and have the blessed opportunity to taste the delicious food from Basilico Catering. Thank you for everything!! "We had Sol and her team cook for us three evenings during our stay. Food was delicious, fresh, and abundant. They were efficient and very tidy, leaving the kitchen better than they found it, often with a fridge full of leftovers. 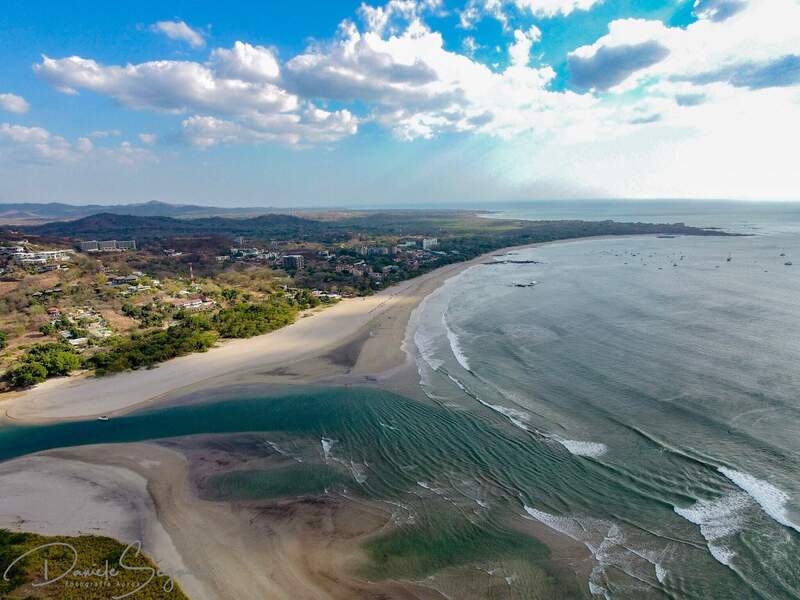 Groceries in Tamarindo are very expensive and fresh ingredients are tough to find, so it is a great idea to have her fill the fridge for your stay. Sol and her helpers were lovely, entertaining and fun for our kids to have in the kitchen. Our group of eleven highly recommends Basilico. Pura Vida!" Our family of 10 people enjoyed a wonderful dinner at our VRBO house on Langosta Beach catered by Sol Marinoni of Basilico Catering. Sol started us off with the biggest bowl of guacamole we could imagine, and we all tried to finish it as the kids played in the pool, but there was just too much! We chose the “catch of the day” menu which was beautifully prepared fish with mango salsa along with fresh vegetables, couscous, and a delicious salad. Topping off the meal was the best tiramisu we had ever tasted!!! In addition to our fish main course, Sol graciously prepared a simple chicken breast for one of the children who doesn’t like fish. It was a most enjoyable evening and we were very relaxed in the beautiful house. Sol offered to stock the refrigerator and cupboards for us prior to our arrival so that we had food and drinks for the family when we arrived, which meant so much for the three children. She was also most helpful in making dinner reservations and recommendations of restaurants and bakeries in the Tamarindo area. She was a great addition to the enjoyment of our trip.